Farmers and ranchers have a very important role to play in establishing the Northwest as a biocarbon solutions leader. Standard practices on crop and range lands too often essentially mine carbon from the soil that took millennium to build up. 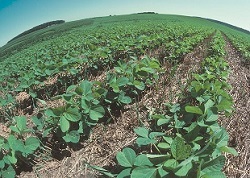 Biocarbon-friendly farming and ranching build carbon-rich soils and long-term fertility, while supplying healthier food. ‘Holistic range management’ techniques that raise premium grass-fed beef while restoring the soil vitality of our grasslands.